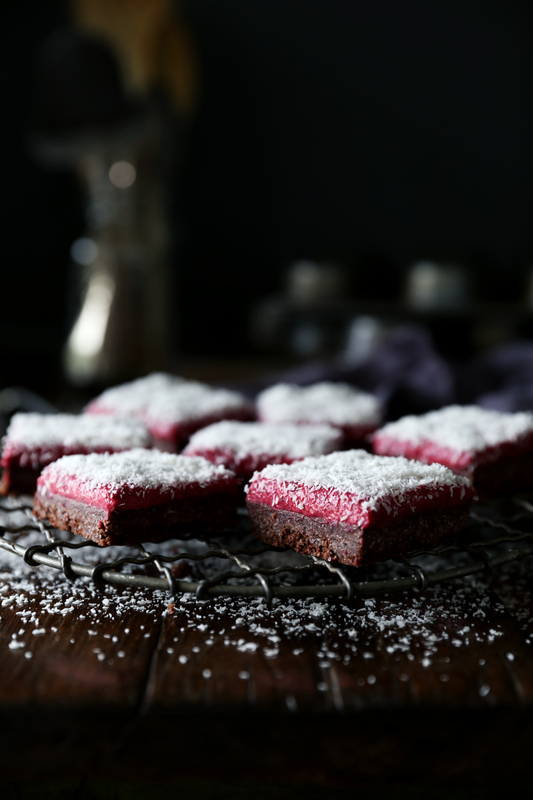 This raw chocolate & raspberry lamington slice is a play on the infamous lamington cake. 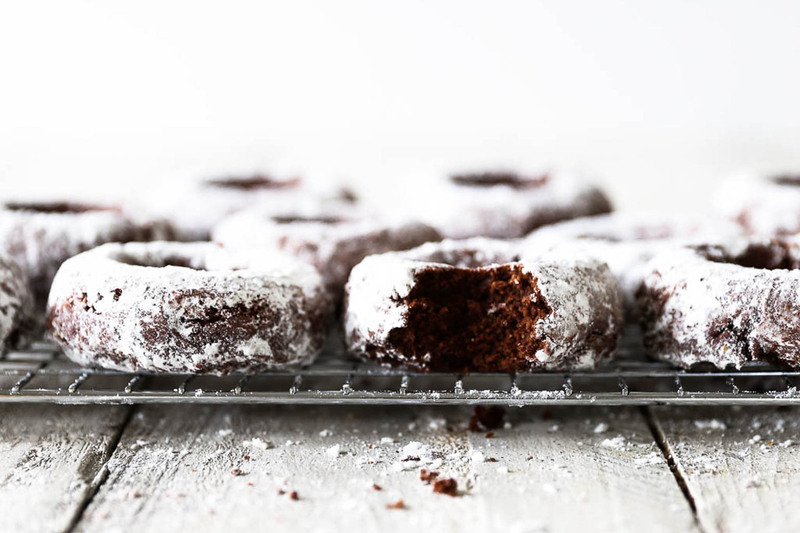 Lamingtons come in a number variations, but traditionally are made from a Victoria sponge sandwiched together with cream and raspberry jam, coated with rich dark chocolate or sweet raspberry icing, and dipped in coconut. 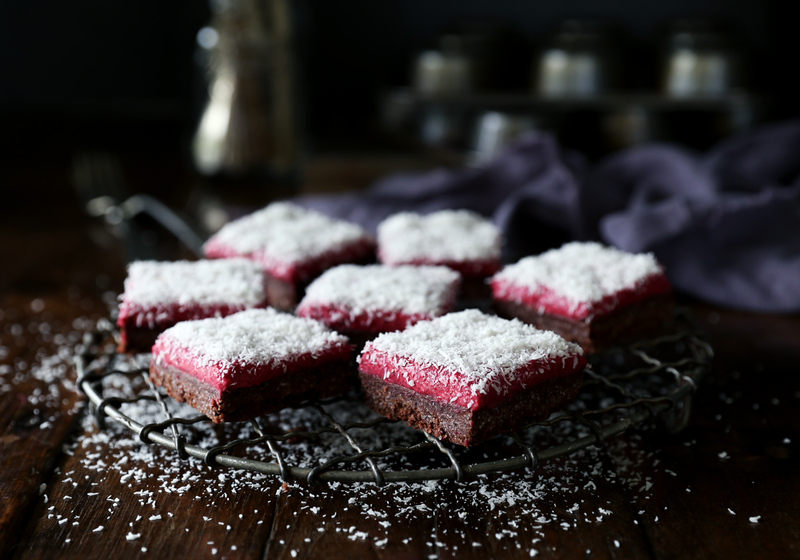 This lamington slice variation is obviously raw so it doesn’t have the sponge cake element, but it does have the iconic chocolate and coconut combination, with a creamy raspberry chia jam topping. 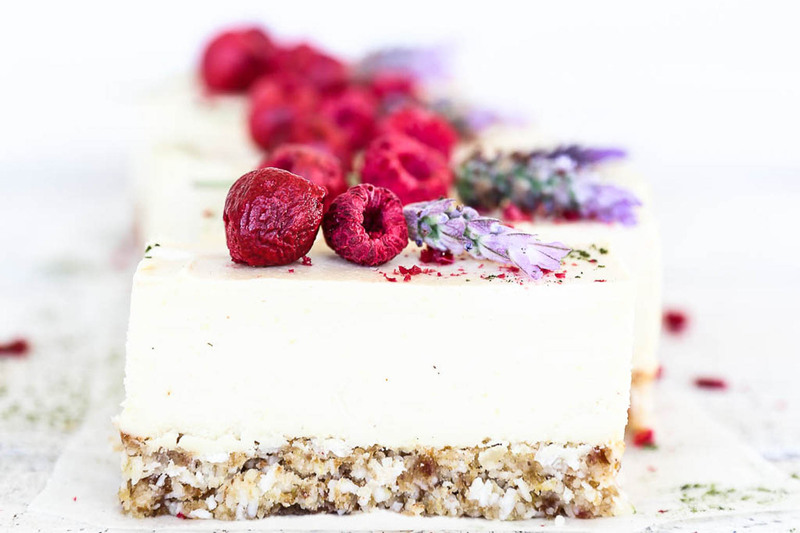 It’s also completely dairy, gluten, egg, nut and refined sugar free, so perfect for anyone with intolerances or allergies, or simply those who love a good raw dessert! I think raw desserts are quite possibly the ultimate kind of sweet treat. Due to their raw nature all the nutrients remain intact (i.e. unaffected by heat), and as long as the sugar content is kept low they can actually be beneficial to your health. Not many other desserts can claim that! 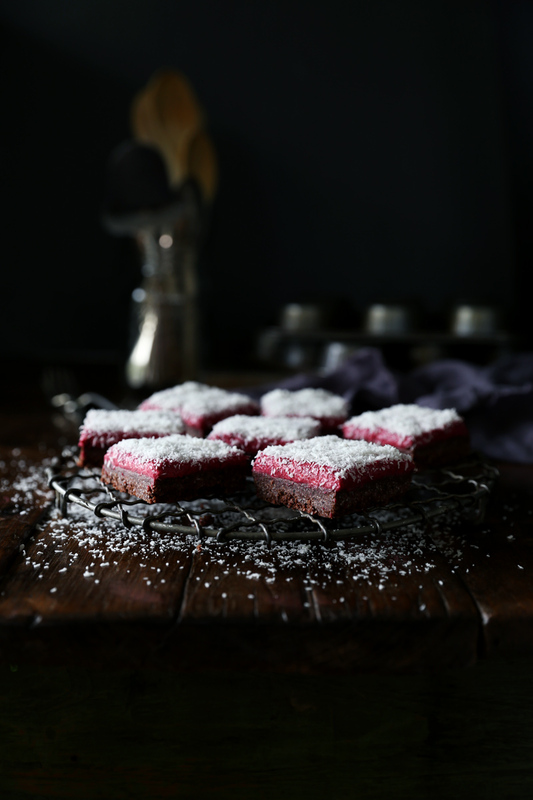 This raw chocolate & raspberry lamington slice is made from 8 plant based ingredients all with amazing health giving properties. Desiccated coconut is a source of fibre, iron, copper and manganese, the latter two support collagen production for healthy skin and tissues. Coconut oil contains lauric acid, a medium chain fatty acid which has amazing anti-inflammatory, anti-bacterial and anti-fungal properties. Raw cacao is an amazing source of antioxidants due to it’s high flavonoid content. 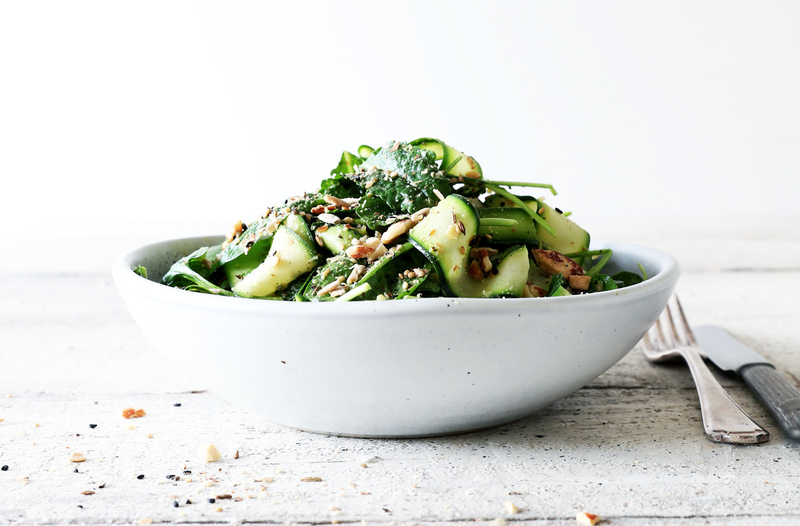 Flavonoids are plant based compounds that provide immune system support, neutralise free radicals, lower blood pressure and LDL cholesterol, and are anti-inflammatory. Raw cacao is also good source of iron, calcium and magnesium, as well as the feel good neurotransmitters serotonin, dopamine, anandamide and phenylethylamine. Dates are a fantastic source of fibre and minerals such as iron, potassium, phosphorus and calcium, and vitamins A and B6. Dates do contain fructose as they’re a fruit, but this is balanced out by their high fibre content, which ensures it’s absorbed slowly. Raspberries are very rich in antioxidants which are essential for preventing inflammation. They’re also an excellent source of iron, magnesium, selenium, zinc, molybdenum, potassium, chromium, and calcium. They’re b12 enhancing which makes them true brain food and are amazing for heart health. Chia seeds are a good plant based source of protein, minerals and essential omega 3 and 6 fatty acids. And lastly rice syrup is a minimally processed, low glycemic sweetener, made from culturing cooked rice with enzymes that break down the starches. The liquid is then strained off and heated. 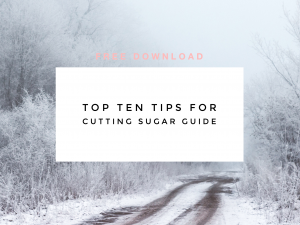 Rice syrup is considered a better choice of sweetener as it contains predominantly glucose which our bodies easily use as fuel, and no fructose which is the sugar our bodies can’t use. 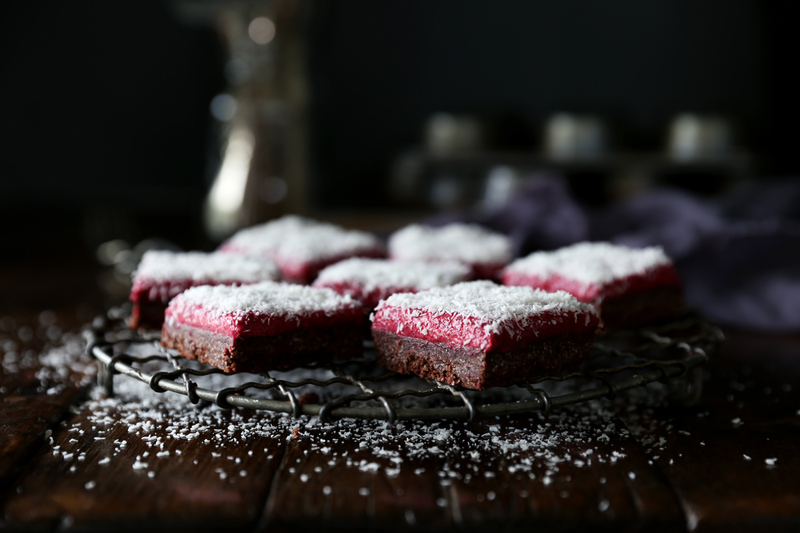 So many beneficial reasons to make this raw chocolate & raspberry lamington slice, but perhaps the best reason of all is that it tastes pretty damn amazing!! If you make this slice I’d love to know what you think! @swoon.food or #swoonfood so I can come and admire them. Line a small brownie tin (approximately 20cm x 20cm) with baking paper. To make the base, gently melt the coconut oil by placing in a heat proof bowl set over a pan of steaming water with the heat turned off. Meanwhile, place the remainder of the base ingredients into a food processor and blend until smooth. Add the melted coconut oil, pulse until well combined and the mixture comes together. Press the mixture into the lined tin and smooth the top. Place in the fridge while making the raspberry layer. To make the raspberry layer, gently melt the coconut oil by placing in a heat proof bowl set over a pan of steaming water with the heat turned off. Place the raspberries, rice syrup and chia into a high speed blender and blend until smooth. Add the coconut oil and blend to combine. Spread the raspberry layer evenly over the chocolate lamington base and smooth the top. Place the tin in the freezer to set up for approximately 30 minutes. You’re aiming to set the raspberry jam, but not completely freeze the slice. Remove the slice from the freezer and sprinkle generously with coconut. Use a sharp knife to cut the slice into squares. Store in a sealed container in the fridge for up to 5 days or in the freezer for up to 2 months. I just love swoon food their recipes are so good. I made this over the weekend. It’s SO GOOD. I even think my family (who have not acquired the taste of raw desserts) will love this. So easy to make and worked perfectly first time. Thanks for the sharing the recipe. Hi Linda, oh yay! So pleased you enjoyed it…and yes it’s a good one for those on the fence 😉 Thanks for your comments!